While I haven’t had as much exposure to Japanese whisky as I’d like, the expressions I’ve tried have all left me with the desire to explore more. So when I recently heard that Suntory Australia would be increasing the range of whiskies they import, I was pretty excited. Previously, the Suntory range in Australia was pretty much limited to Yamazaki 12 year old. If you looked hard enough, you could probably track down an entry level Hakushu or Hibiki, but you’d pay a pretty penny for them. While the 12 year old expressions and Hibiki 17 have been around for a while in many overseas markets, apparently this is the first time the Distiller’s Reserve offerings have been made available outside the Japanese market. They were recently launched in the UK as well (and received some fairly high praise), so I’m really looking forward to seeing what they’re like when they land here. Smaller quantities of the above will start finding their way behind the counter of your favourite bar around April. We should also start to see these expressions in select independent retailers from May onwards. As for the price? 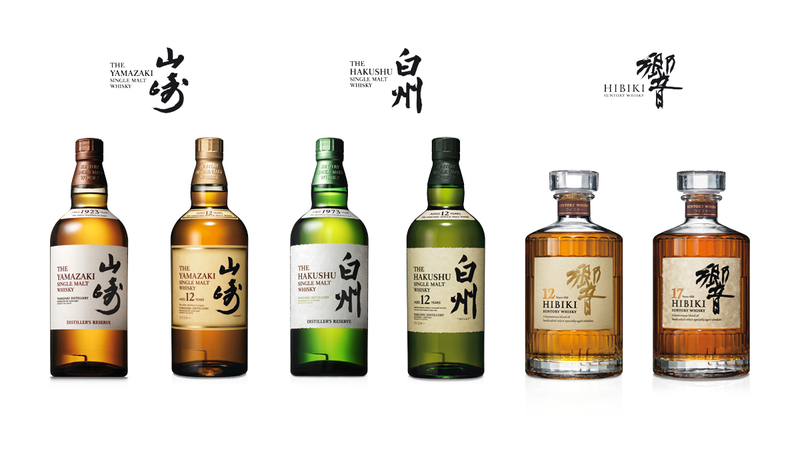 Expect to pay around the AU$80 mark for the Distiller’s Reserve expressions, AU$110 for the 12 year olds and around the AU$160 mark for Hibiki 17 year old.